I know I was going to share a couple more projects from Quilted Christmas (fear not – I’ll share tomorrow) but today I wanted to share an awesome project Stampin’ Up! shared with us, just in time for Halloween. Remember, our stamps, ink, and paper are versatile enough to create not only beautiful cards, but also unique home décor pieces? Wonderful creations like this—whether you keep them for your own home or gift them away—can be saved and treasured for years to come. Just imagine what you could create for your own home! 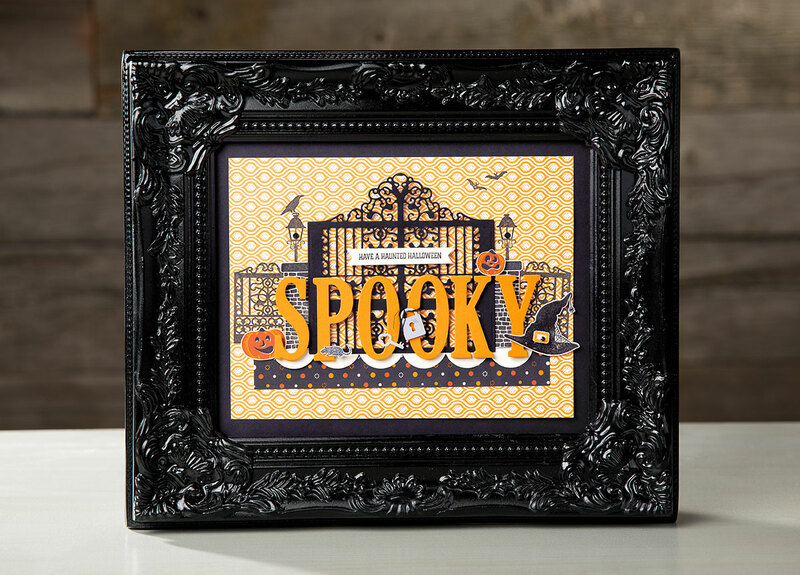 This amazing décor piece was created with the Graveyard Gate Bundle and the Spooky Nights Suite, and you can’t forget the Large Letters Framelits dies (these are a must in everyone’s crafting collection). The frame you can pick up at your local craft store … I always check out the Dollar store first, I found cute ones and then just spray painted them the color I wanted. Either one of these places will have inexpensive frames for your crafting. Hope you enjoyed this cute project, and it’s just in time for Halloween! ONLY one week left in the Merry Patterns Stamp Set promotion! Every order totaling $300 or more earns the Merry Patterns set for FREE. This is a fantastic way to add the free stamp set your stamp collection. (in addition to all the regular Stampin’ Rewards!). 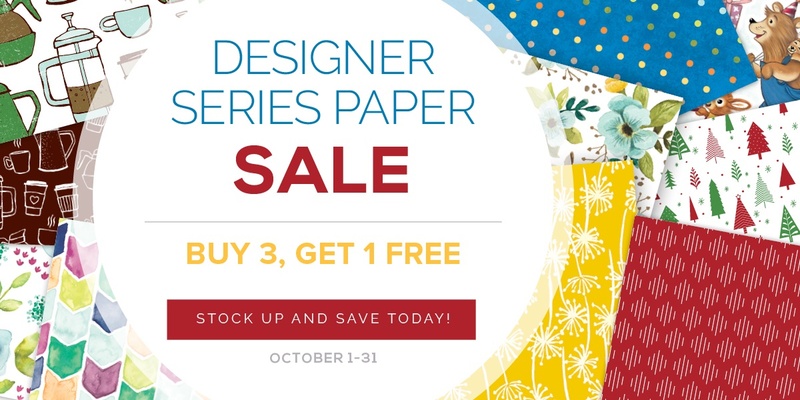 There’s only one week left for you to buy three packages of select Designer Series Paper and get one FREE! Spread the word …Who doesn’t like to save on paper!